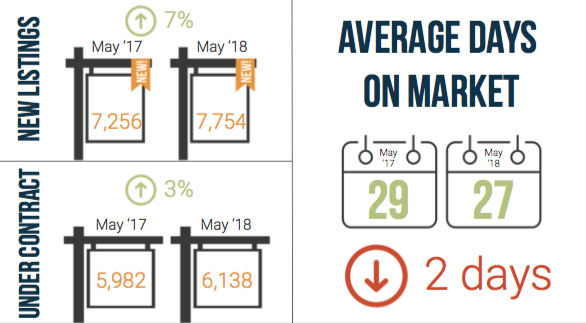 The infographic is from REColorado and compares May 2018 to May 2017. Commentary: Not much has changed in the market. 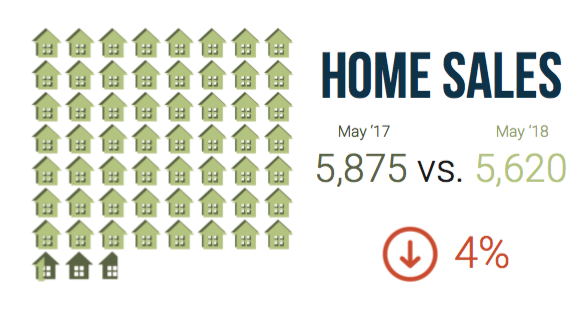 It's still a seller's market with high demand and low inventory. Charles guesses the higher number of listings might be from people pushing the market and asking for too much. We don't really know! We did have fun speculating about what the market will do one year from now in May of 2019. Our guess, probably more of the same. I asked a question to Charles about waiting for the market to turn vs buying now. We have lots of investors asking what the market will do (we don't know or pretend to know.) Charles and I both have an attitude that is similar to stock investing. 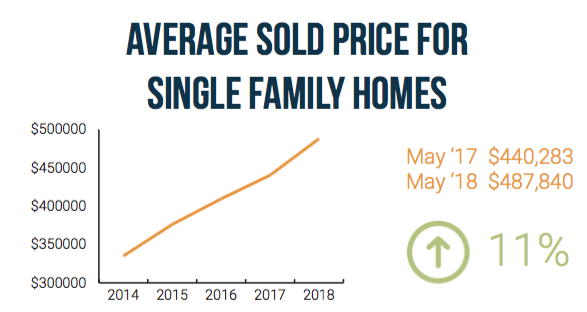 That's to dollar cost average your Denver real estate investments since it's impossible to predict the market and foolish to do so! 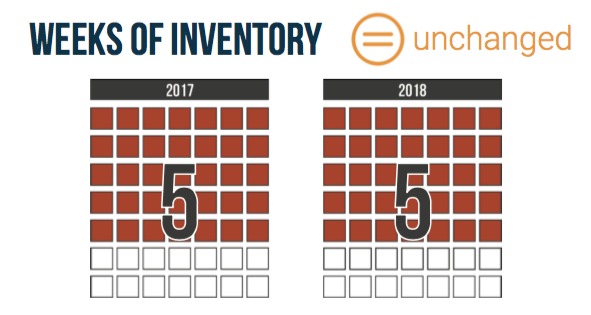 As Charles discusses in his Advanced Real Estate class (check the calendar for future classes), leverage is the key to getting great returns in real estate. He has data that compares buying at the best time during the crash to now that shows you can get similar returns by using leverage. Denver renters have been described as "demanding," and the one feature they want — in-room laundry — is the hardest to find. 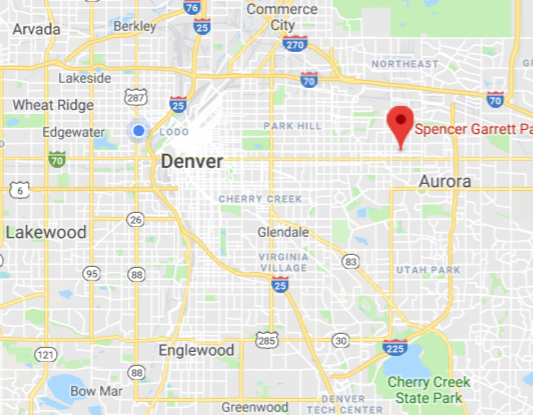 That's according to a new report from Apartment List, which indicated that 65 percent of Denver renters are looking for units with washers and dryers, but only 26 percent of units have them. On the other hand, Denver renters aren't really looking for cat-friendly units, which is the most oversupplied amenity in the city. "Renters in Denver are more demanding than those in other parts of the country, with renter demand above the national average for eight of the 10 amenities we analyzed," Apartment List said in a statement, adding "we categorize Denver as having too many amenities. Renters are likely to have an above average chance of finding all the amenities they want, and an above average chance of ending up with extra amenities that they don’t want." Commentary from Charles: Washer and dryers are about 47th on the list to worry about! He puts dishwashers at 44th on the list. From his experience, he doesn't supply the washers and dryers. If previous tenants leave them, he gifts them to the new tenants and tells them the have to deal with issues. Charles did an analysis of his portfolio and is at 0.8% vacancy over the last four years. Come see this fantastic duplex on a gorgeous tree-lined street! These units have great layouts, large kitchens and beautiful hardwood floors. Each unit has a full basement with two additional bedrooms. One basement has a full bath and the other a 3⁄4 bath. The units are separately metered for gas and electric and have their own washer/dryer hookups. Each unit has a large, fenced backyard which your tenants will really appreciate! Quick access to 225 and shopping. Check out this wonderful investment opportunity, you'll be glad you did! Each unit is 1,845 sq ft.
Denver House hacking is a great way to build wealth. One of our clients is buying his second house hack. A few years ago he purchased a duplex and is ready to buy another property to continue to build his rental portfolio. We had another property under contract a few weeks ago, but the inspection report came back with numerous health and safety issues (electric panel falling off, gas lead, shot sewer, etc) and the sellers did not want to fix or negotiate anything. Terminated and moved on. Address: Exact address omitted for privacy. It's in North Aurora, north of Colfax and west of I-225 and UC Health and the Children's Hospital. Full kitchen and 3 bedrooms upstairs. Small kitchen, 2 bedrooms, and a separate entrance. The house hackers will leave in the basement and rent out the top unit to maximize rental income. It's a short-term sacrifice for long-term wealth creation.